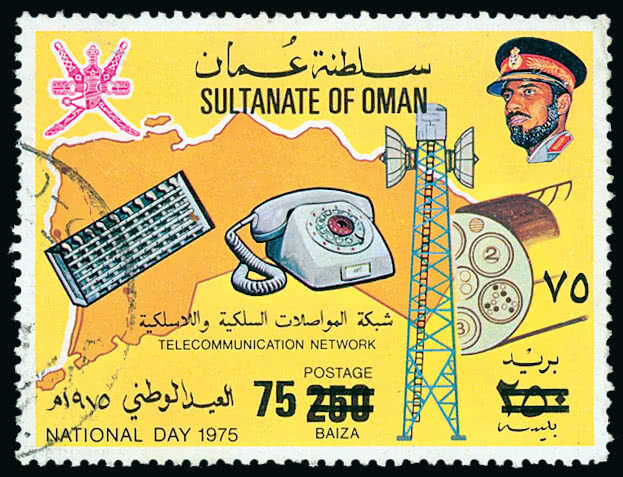 762 / , entire, etc. 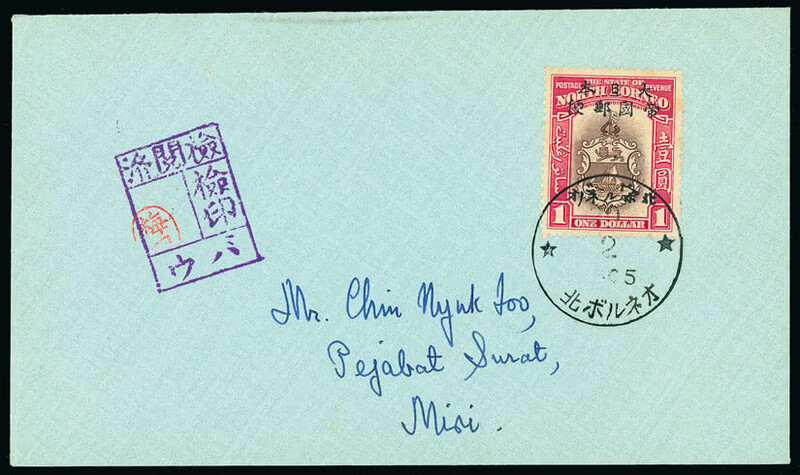 North Borneo: Japanese Occupation: 1945, two covers to the same address in Miri, the first bearing 1944 50c. 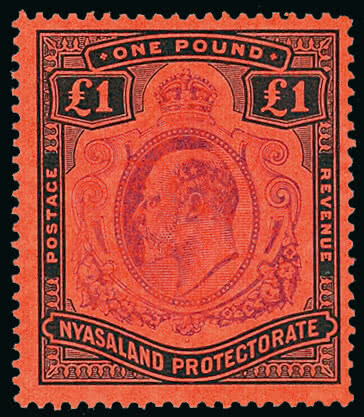 and the other $1, both stamps with minor toning, otherwise fine. Photo. 773 / , entire, etc. 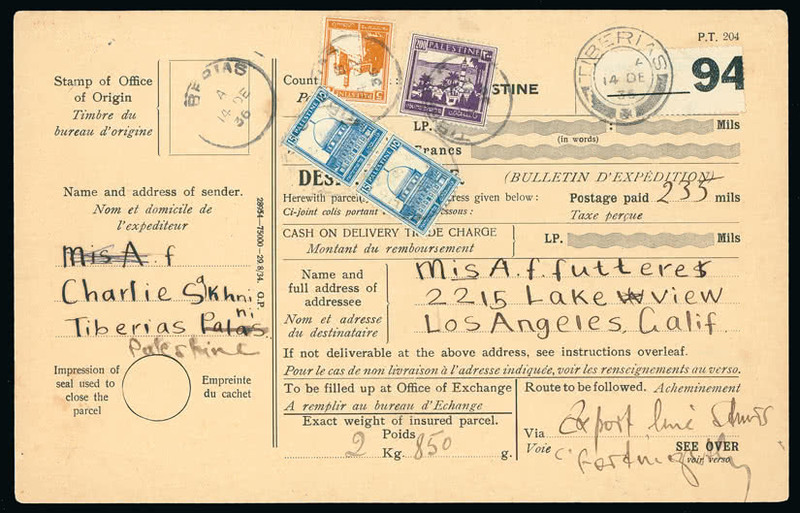 Palestine: 1936 (Dec. 14) parcel card to U.S.A., bearing 1927-45 5m., 15m. (2) and 200m., tied by “TIBERIAS” c.d.s’s, with “HAIFA” c.d.s. 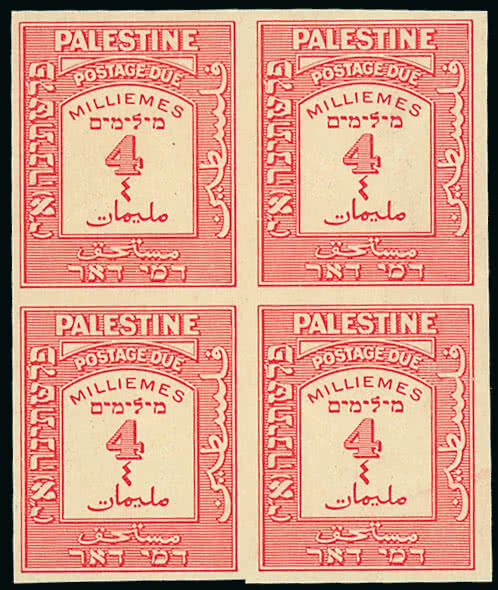 on reverse. Photo. 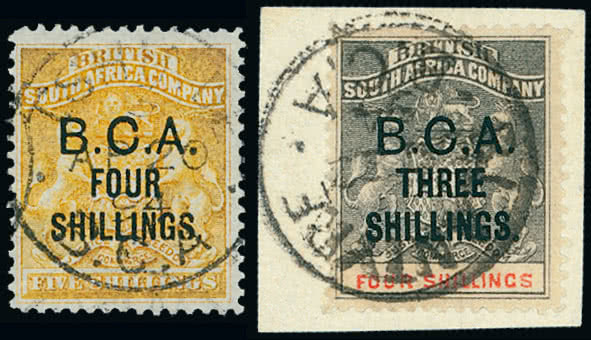 778 Unmounted Rhodesia: 1892-94 Arms issue 4s. 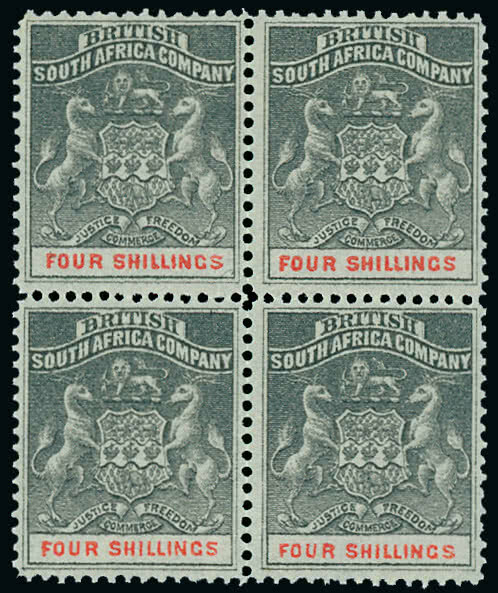 grey-black and vermilion in a fine and fresh unmounted mint block of four. 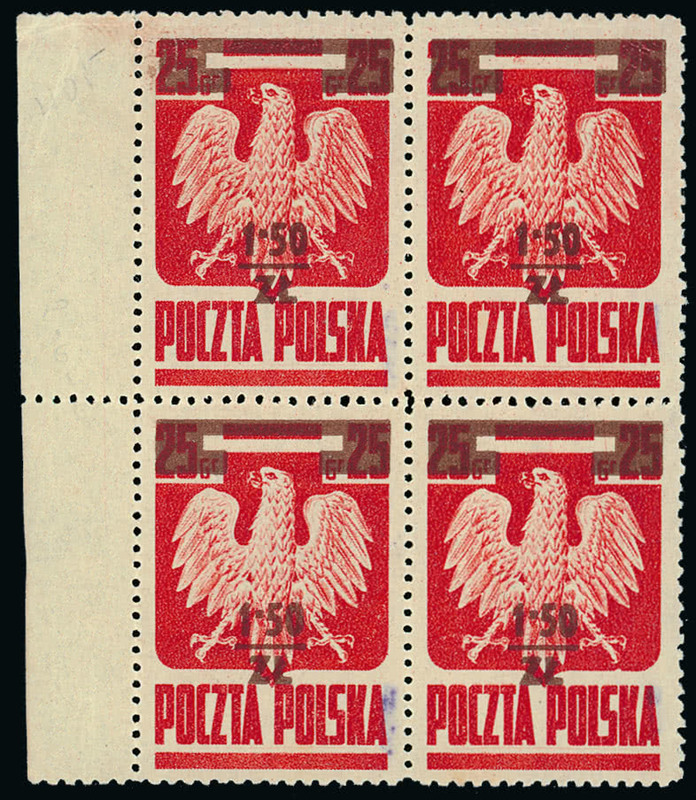 S.G. 26. Photo. 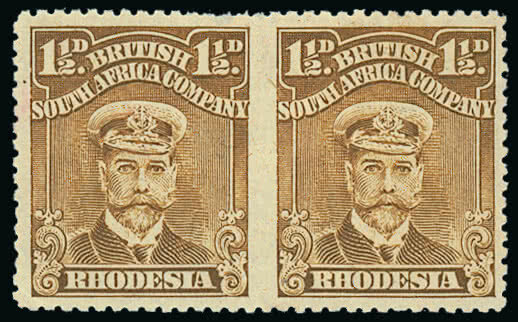 779 Unmounted Rhodesia: 1892-94 Arms issue 4s. 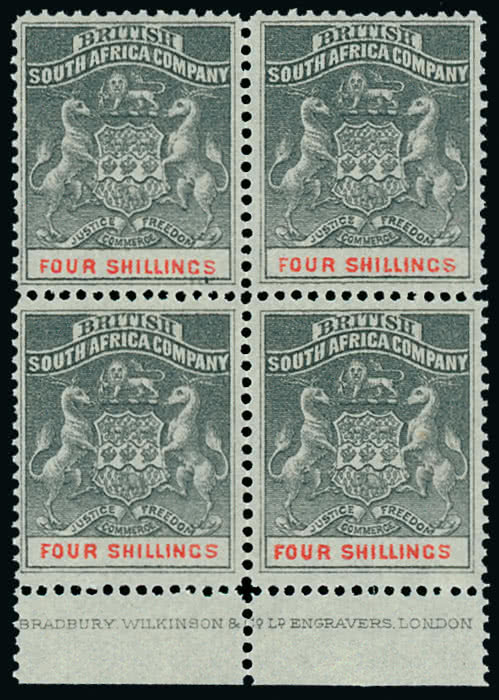 grey-black and vermilion in a fine and fresh unmounted mint block of four from the foot of the sheet with imprint. 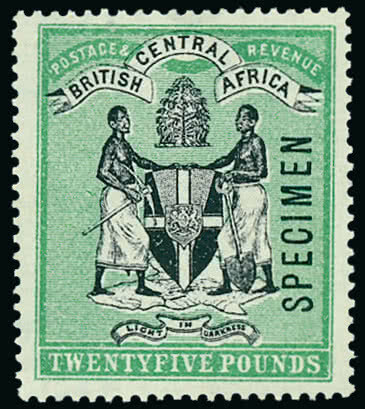 S.G. 26. Photo.